Amarone della Valpolicella, more known as just Amarone, is a pretty well-known wine. It’s usually being sought out by the older customers who remember it from years ago at the height of its modern day popularity. Of course once I show them some Amarone their jaw drops at the sight of the price. Amarone is not cheap and for a good reason: It takes a lot of work to produce. The grapes are dried on mats in the sun or, using the more modern method, stacked in open crates being blown with hot air until they’re basically raisins. Then they’re squeezed for the juice, which isn’t a lot as you can imagine. So prepare to spend some dough on an Amarone. But never fear, Amarone lover! There are other options. Namely a Valpolicella Ripasso Superiore. A quality fine wine is made using the same grape varietals as Amarone (Corvina, Molinara, and Rondinella) in the same region of Veneto, Italy. “Ripasso” means “re-passed”, and this is because it then gets to sit and macerate with the pumice from recently made Amarone. This gives it a darker color, fuller body, more structure, that beautiful raisinated Amarone flavor, and it starts a second fermentation to give it more alcohol. Also, it’s much friendlier on the wallet. 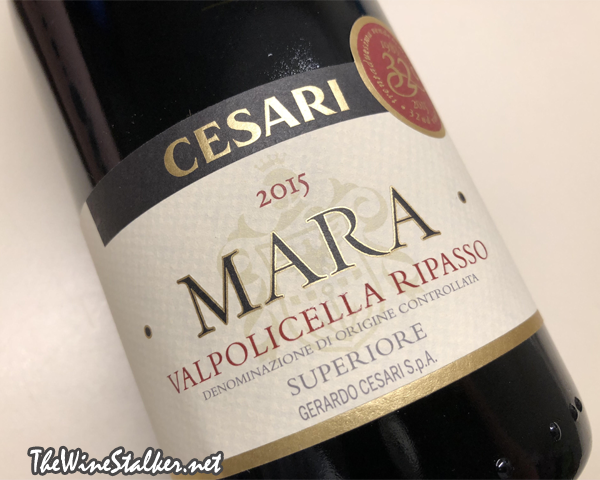 Cesari’s Mara Valpolicella Ripasso Superiore is named after Mara Cesari, the matriarch of the Cesari family. It’s 75% Corvina, 20% Rondinella, and 5% Molinara. After twelve to fifteen days of macerating and refermenting with Amarone pumice, it spent two months in French oak tonneaux, ten months in large Slovenian oak barrels, then six months of bottle aging. The final ABV is 13.5%. The color of the wine is a dark ruby red. On the nose there's aromas of juicy black cherries, cranberries, vanilla, hot cinnamon, and black licorice. 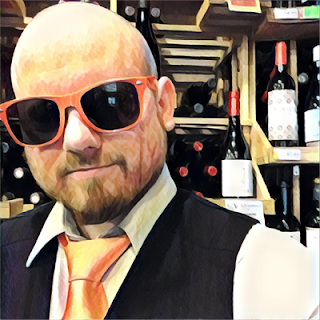 On the palate it's medium bodied and ridiculously soft and lush in mouthfeel, with dusty tannin and just a little pep to its acidity. There's flavors of black cherries, cranberries, raisins, sweet tobacco, hot cinnamon, and black licorice. It finishes with that dusty tannin and flavors of cranberries and hot cinnamon. The midpalate is rarely my favorite part of a wine. That usually goes to the nose or the finish. But this lovely lady’s midpalate is so satisfying and elegant that it's easily my favorite part. Mara gets full marks for $20! This is an insane deal for the price!